NORWALK, CT – July 13, 2016 – Health care merger and acquisition activity gained strength in the second quarter of 2016. Compared with the first quarter of 2016, deal volume rose 11%, to 396 transactions. Deal volume was also higher, up 15%, compared with the same quarter the year before. Combined spending in the second quarter reached $88.2 billion, an increase of 9% compared with the approximately $80.7 billion spent in the previous quarter, according to HealthCareMandA.com. In the first half of 2016, deal volume reached 754 transactions, up 5% compared with the first half of 2015 (721 deals). Spending in the first half of 2016 reached $168.9 billion, a 4% increase compared with the same period in 2015 ($162.4 billion). Health care services represented 60% of the second quarter’s transaction total, slightly lower than the 62% share reported in the previous quarter, but equal to the 60% share recorded in the second quarter of 2015. Investor interest in the services sectors was generally strong. Deal volume in the Behavioral Health Care sector, with 17 transactions, was higher than the previous (113%) and year-ago quarters (183%). Similarly, the Long-Term Care sector posted 87 transactions in the second quarter, higher than the previous (5%) and year-ago quarters (13%). On the technology side, transaction growth across three sectors, Biotechnology, eHealth and Pharmaceuticals, outpaced the first quarter. The eHealth sector was booming, with 57 transactions, up 58% versus the first quarter and 68% over the second quarter in 2015. The growing emphasis on benchmarking and population health management, not to mention revenue cycle management and electronic health records, will keep this sector growing for several more quarters. For more information on HealthCareMandA.com or The Health Care M&A Information Source, or for a membership to any of Irving Levin Associates’ services, please call 800-248-1668. Irving Levin Associates, Inc., established in 1948, is headquartered in Norwalk, Connecticut and is online at www.levinassociates.com. This privately held corporation publishes annual and quarterly research reports, monthly and weekly newsletters, and maintains merger and acquisition databases on the health care and senior housing markets. 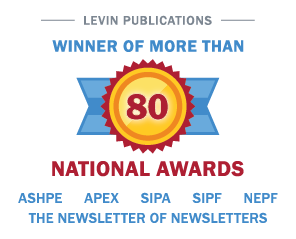 If you would like to receive future releases, please email pressreleases@levinassociates.com.